AfrAsia Bank and research group New World Wealth have released a report detailing South Africa’s most exclusive residential estates. 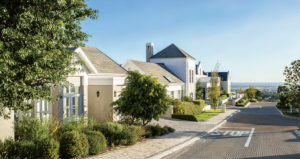 According to the report, with the second highest number of residential estates in the world, South Africa is noted as one of the global pioneers in residential estate living, and a rise in the demand for retirement estates especially has been a trend observed within this space over the past year. Based on a range of criteria which include design and space, communal gardens and parks, maintenance, location, security, scenery, activities, and facilities, the report listed the overall top 10, as well as the top 10 within three sub-categories, namely retirement estates, wildlife estates and golf estates. Notably, within the retirement estates category, two of CPOA’s retirement villages made it onto the selective list. These include the well-established Constantia Place, owned by CPOA for almost 30 years, and The Somerset Lifestyle and Retirement Village in Somerset West, a newer, upmarket development managed by CPOA. “We are honoured but not surprised that Constantia Place and The Somerset have been included in South Africa’s top 10. Both not only offer excellent accommodation on scenic estates but are also very well positioned as far as amenities are concerned”, says CEO Dr. Michael Zipp. With over 25 retirement properties in CPOA’s portfolio, each residence offers a unique set of attractions making each one appealing for varying reasons. 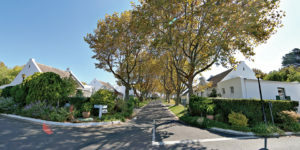 Constantia Place is popular with retirees who have spent many years in the Southern Suburbs and/or Cape Town, while the individual cottages and homely feel of the estate make for a smooth transition to retirement living. The Somerset, set to be a large estate with 260 homes once development is complete, caters to various needs with cottages, apartments, and freehold homes and is a popular choice for younger retirees who are looking to settle down in an area with a small-town community feel. Another important factor when it comes to the popularity of these estates is the on-site Care Centres which provide additional security knowing that, should the need arise in the future, full-time care by a qualified Nursing Manager and trained staff will be available to residents. While Constantia Place has a fully functioning Care Centre in place, The Somerset’s Care Centre is set to be completed in 2018/19. “The Retirement market is growing,” says Dr. Zipp. ”Retirees in the future will be more active, generally healthier and fitter, and there will be more of these so called Baby Boomers. Founded in 1953 by a group of volunteers, CPOA is a well-known name in Cape Town when it comes to the retirement industry. Poised as a market leader with over 25 properties, including several upmarket developments, CPOA aims to provide its residents with the highest standard of care in a homely, secure and comfortable environment. As such, the entire spectrum of services, catering to both independent living needs and later full-time care, are offered to retirees. CPOA’s 18 Care Centres make provision for those in need of specialised care with options such as care levels for those who are semi-independent, full-time care, and specialized Alzheimers and Dementia care. Staffed with trained healthcare professionals as well as a qualified Nursing Manager, the quality of care at each Care Centre is of the highest standard. In addition to Rental Agreements, CPOA offers Life Right purchases whereby a fair return on a secure investment, without the hassle of maintenance, meals, or security concerns, is given to residents all while having convenient access to CPOA Care services and facilities. To search for CPOA retirement villages on Senior Service, simply type the keyword CPOA in the search field on the homepage.